NVIDIA Home > Support Home Page > Knowledgebase Home Page > How do I connect an HDMI cable to the Geforce GTX 480 or Geforce GTX 470 so that I may use it with my HDTV? How do I connect an HDMI cable to the Geforce GTX 480/Geforce GTX 470 so that I may use it with my HDTV? 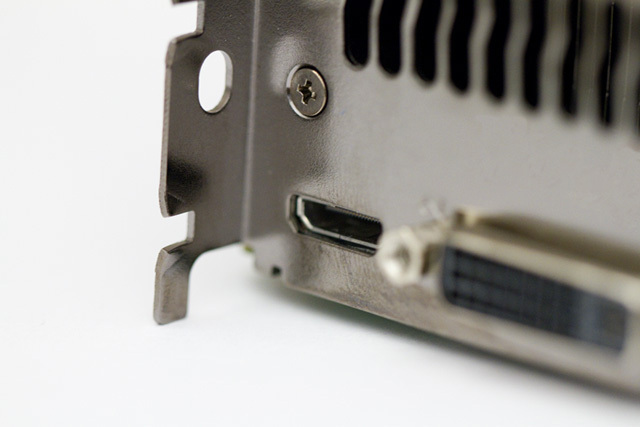 The Geforce GTX 480/Geforce GTX 470 features a mini-HDMI connector which can be used with a standard HDMI cable when connected with a proper adapter. To use a standard HDMI cable, you will need a Type C Mini-HDMI male to HDMI female adapter. This will allow you to connect a standard HDMI cable to your Geforce GTX 480 or Geforce GTX 470 graphics card.